October has historically been a troublesome month for stock markets, and 2014 did not stray far from this tradition. Volatility was prevalent, spurred on by concerns over lower global growth prospects, threat of deflation, negative Eurozone reports, and Ebola. Was October 2014 a Correction? The mid-October slide was close enough to the 10% boundary that most would say indicates a correction, and was definitely significant enough to be noticed. Evidence suggests that this was typical of the type of correction seen within an ongoing secular bull market, where the average dip is in the high single digits. While the pullback caused worry it was pretty normal for the type of market we are currently experiencing. Looking back at mid-October, we ask ourselves: what changed to make the market drop the way it did? The answer is: nothing, fundamentally. Markets responded to news from the Eurozone; negative GDP for Italy, sub 1% growth in Germany, and talks of the whole zone entering a recession (although there is yet to be confirming data for this). What effect will the Eurozone have on the US economy? More about that in a minute. First, a quick note on the US economy. It is growing (albeit slowly) and appears to be chugging along. The second half of the year looks pretty good, and could be even better than what people are expecting. Now back to how Eurozone issues might trickle into the US economy. Interestingly, an examination of the recession data available for the US and Eurozone dating back to 1970 shows that during that period, the Eurozone has never dragged the US into a recession. In fact, since 1970, there have been six recessions in the US and five in the Eurozone (four of which followed US recessions, and one of which – occurring in 2011 – did not). Not a two-way street by any means. More like a one-way street, where the US economy calls the shots. 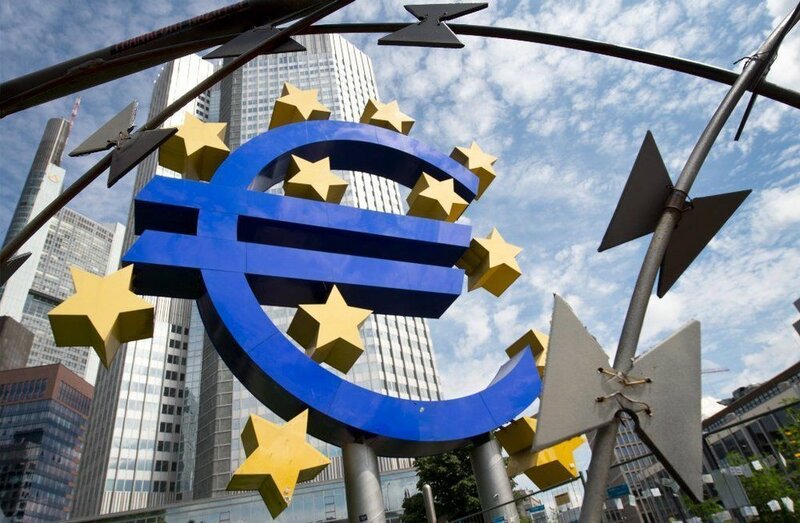 Although we don’t expect the current Eurozone negativity to have any significant effect on our economy, if the situation ignited a global financial panic it’s hard to imagine we would escape completely unscathed. The Ebola situation, now largely under control, created some volatility in the market that tracked closely to what we experienced with bird flu and swine flu. Historically, there is usually some softness around the time that the public becomes aware of a health scare, but over the past 100 years, the impact has been generally short-lived. Industries such as health care and airlines, which have high exposure, tend to be the most strongly impacted. The Ebola situation has been no different, with public awareness and resulting market softness arriving around August 8 and continuing into mid-October. Near the close of the market on October 28, President Obama announced that all US citizens who had contracted the disease were in recovery, and markets rallied in response. While there was obvious fear surrounding Ebola, the market’s behavior is typical of contagion issues that are not epidemic. This is not a situation where hundreds or thousands of people became ill. Though long term effect on the markets was minimal, it created an opportunity to put money back to work when others were panicking. By the time the dust settled on October, the indices were back in positive territory, with both the Dow and the S&P at new record highs. Currently, overall sentiment in the market is pessimistic in both the short and intermediate term. We see this as good news. People haven’t forgotten the lessons of 2008; they remain gun-shy, keeping euphoria – and the subsequent correction that typically results from drawn out exuberance – at bay. Our goal is always to be on the right side of a big move. Everyone is calling for a positive year end, and we aren’t inclined to play the role of contrarian on this one. We are going into a seasonably favorable period; the end of the year is traditionally the strongest quarter every year and our data is pointing to 2014 being no different. In addition, looking back as far as the data allows – approximately 86 years – while it’s typical to see weakness in September and October in presidential mid-term election years, in those mid-term election years with an incumbent president, stocks traded higher in the fourth quarter of the year 100% of the time. That said, anything can happen. Bottom line? For now, given the fact that we haven’t seen anything alarming such as a serious correction coming in our data, we’ve paddled back out and are going to try to ride this momentum a while longer. Is this the beginning of a correction?